To say it was impulsive, or that the entire military opposes it, would be grossly misreading the situation. In 1966, in the midst of the Vietnam War, Vermont Senator George Aiken recommended that President Lyndon Johnson simply “declare victory and get out.” While what Aiken actually said was more complex (because the U.S. couldn’t win militarily, he implied, it should stop deploying troops and start deploying diplomats), his statement is commonly cited as an example of foreign policy wisdom—then, as now, a much depleted currency in Washington. 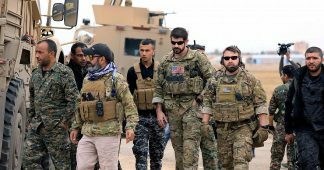 While it’s doubtful that President Donald Trump has studied Aiken’s views (or even heard of him), his decision on Wednesday to order the unilateral withdrawal of U.S. troops from Syria is one of the few “Aiken moments” in American history. 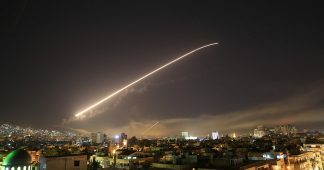 Not surprisingly, given Trump’s inclinations, the news came in a tweet posted by the president on Wednesday morning: “We have defeated ISIS on Syria,” Trump announced, “my only reason for being there during the Trump Presidency.” U.S. officials later said that all U.S. troops would be removed from Syria over the next 60 to 100 days. While the announcement took much of official Washington by surprise, The American Conservative has learned that a select group of administration officials, as well as a handful of senior military officers, knew of Trump’s decision as early as Saturday morning. According to these officials, all of whom required anonymity in exchange for the information, Trump’s decision came as a result of a lengthy telephone exchange he had had with Turkish President Recep Tayyip Erdogan on Friday. Everything that Trump announced today, we have been told, was decided in that call. That telephone discussion, as one of these officials told us, was the latest in “a series of conversations the two have had over the last weeks on a host of issues,” including the murder of Saudi journalist Jamal Khashoggi, Erdogan’s insistence that the U.S. extradite cleric Fethullah Gulen to Turkey, U.S. worries about Iranian meddling in the region—and continuing U.S. support for Kurdish forces operating in Syria (led by the People Protection Units—the YPG), which Turkey views as a terrorist organization. It was this last issue that was the focus of Friday’s telephone call, spurred by Erdogan’s public pledge 48 hours earlier that he was prepared to order his military into Syria to take on the YPG despite U.S. backing. Tsipras-SYRIZA: Α shame for the international left! During Friday’s telephone call, Erdogan once again took a hard line against the Kurds, and the administration’s support for them. A part of his argument was that the U.S. had said it was allying with the Kurds to destroy ISIS which, as Erdogan argued, had been accomplished. Nor was Erdogan influenced by Trump’s contention that the U.S. needed to remain in Syria in order to check Iranian influence in the region. 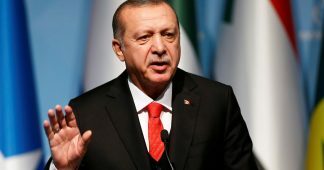 Erdogan, we have been told, was ready for the argument: the best hedge against Iran, he told Trump, was not the Kurds, or even the Saudis, but Turkey. Erdogan, as it turns out, wasn’t the only one making that argument. 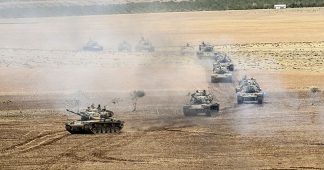 As reported in these pages last April, senior U.S. military officers, including Gen. Curtis Michael “Mike” Scaparrotti (the highly respected head of the U.S. European Command), warned that the U.S. “marriage of convenience” with the YPG in its fight against ISIS in Syria was poisoning its relationship with Turkey—a NATO ally. Turkey, as Scaparrotti told James Mattis in March, was particularly angry that the U.S. was supporting the YPG’s deployment to Manbij, threatening Turkish forces some 70 miles away. So what is more important, Scaparrotti asked Mattis, our relationship with the Kurds, or our relationship with Turkey? Gen. Jospeh Votel, the head of Centcom, pushed back against Scaparrotti, saying that America’s “marriage of convenience” was “temporary, tactical and transactional” and essential to defeating ISIS. And so it was that the Scaparrotti-Votel debate was both postponed (with the administration supporting Votel’s position until ISIS could be decisively defeated) and papered over—with the Mattis and Secretary of State Mike Pompeo issuing regular reassurances to Turkey that the U.S.-YPG relationship was only temporary. Now, with Trump’s decision, the debate has been resolved. “Somewhere, you can bet, Joe Votel is absolutely spinning his head into the ceiling,” a senior military officer told me. “I don’t know what to call this—but it sounds like Scaparrotti’s revenge.” Perhaps, but for Syria experts and for those in the military who supported Votel’s position, while Trump’s decision on a full U.S. withdrawal came as a surprise, it might have been predicted. John Allen Gay, an Iran expert and executive director of the John Quincy Adams Society, agrees. He argues that Trump’s decision confirms what everyone has quietly admitted for at least the past year: that keeping U.S. forces in Syria to counter ISIS was starting to look like a way for administration interventionists to argue that we should take on Iran. “Keeping the troops there post-ISIS was in part natural mission creep, but it was also a stalking horse for hawks in the administration who want to take on Iran,” he told TAC. Gay may well be right, at least according to a number of U.S. military officers with whom we’ve talked. Which is not to say that Trump’s decision has been greeted unanimously. In the wake of his Friday decision, the administration’s foreign policy triumvirate of James Mattis, John Bolton, and Mike Pompeo pushed back, arguing that keeping U.S. troops in Syria was essential, if for no other reason than to keep a high U.S. profile in the region. Their arguments were predictable, if outspoken: ISIS isn’t really defeated, Iran is on the march, the U.S. needs to show solidarity with its Kurdish allies. Trump, channeling Erdogan, pushed back on each of them—ISIS is finished, Iran could be countered in other ways and, as Erdogan had told him, the Kurds were already talking with the Assad government about an accommodation that would keep them in northeastern Syria. 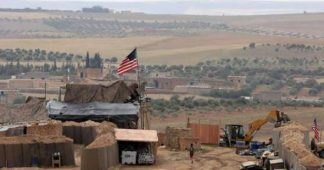 In truth, as we were told by a senior Turkish diplomat who was privy to the Trump-Erdogan exchange, the decision had been made on Friday, when Trump told Erdogan that he agreed that the U.S. could withdraw its troops from Syria. When can you do that? Erdogan had asked. Trump wasn’t sure, so he turned to his national security adviser, who was listening in on the conversation. Can we do it today? Now? Trump asked. Bolton nodded: “Yes,” he said. * Mark Perry is a contributing editor at The American Conservative and the author of The Pentagon’s Wars. He tweets @markperrydc.